Ash blonde Simona wearing Secret Agent. Simona wearing a Capri "replica" I made for her. Simona dolls came with 3 different shades of blonde. 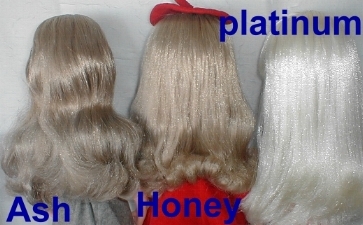 The Ash blonde is found on special dressed dolls marketed to United Stated like the Secert Agent above. 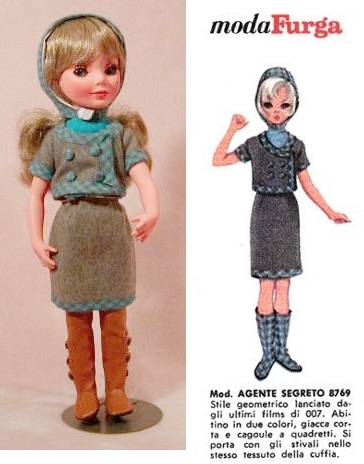 And also the Bride doll from 1968 "Entusiasmo" . 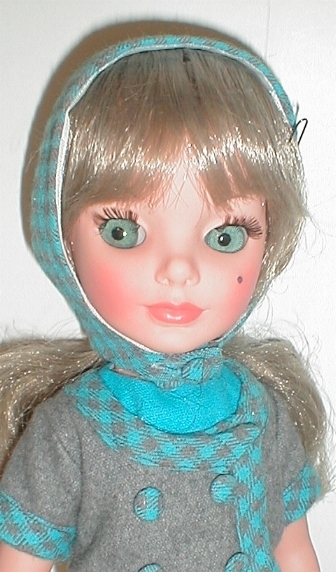 All honey blonde Simona dolls were sold only in Italy and are very rare in the US. 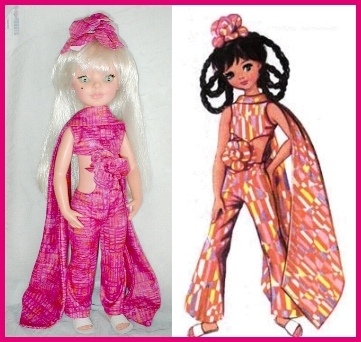 The Platinum dolls were sold only in US and are a exciting find for Italian collectors.